Car crashes is the #1 killer of teens in America, and for every American teen killed in a car crash, about 100 more are injured. Pick your Teens in the Driver Seat® team. They will be responsible for spreading the driving safety messages, coordinating and holding activities and participating in Teens in the Driver Seat® hosted events and activities. The team leaders can be an existing school group, such as Student Council, or form a new group. 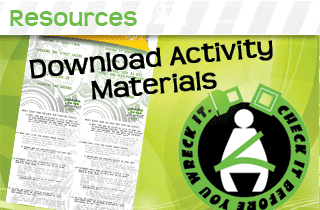 Anyone can be a part of Teens in the Driver Seat® and it’s a great community service project. Find a teacher and/or school leader who wants to sponsor the Teens in the Driver Seat® program. The sponsor serves as faculty support, collects and returns safe driving assessments, keeps us updated on what your team is doing, and will be our main contact. They can also help you get started. Contact Us when you have your team and sponsor and are ready to start your program. You’ll be placed in touch with your Regional Representative who will help guide you through the next steps. Order your FREE educational items. They can be used to remind the students at your school about safe driving. Educational items and resource materials may be reordered each school year! You’ll also receive a handy calendar full of activity ideas, a how to get started guide, a USB with lots of resources and a survey with instructions. Ask your teacher/sponsor to administer the assessment (from welcome folder) by following the instructions provided and return them to us. Administer the assessment before you do any activities, so we can get a good picture of what the students in your school know and their driving habits. We’ll keep a record of the assessments so we can evaluate the impact your team is making in your community and make the program better. Use the activity calendar (provided in the welcome folder) and plan out activities for the entire year. You can also look at the online activity ideas and see what other schools are doing on our Facebook page. Make sure to let us know what you are doing by completing an activity form and posting on the TDS Facebook wall, Instagram (must tag @teensdriverseat), or Twitter (must tag @teensdriverseat). 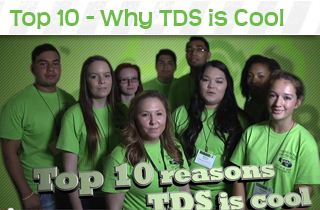 TDS holds contests throughout the year and your school can win cash and prizes. Take a look at Events & Contests to learn more. Plan activities for the entire school year. Hold regular meetings with your sponsor and team. Stay on the lookout for monthly newsletters that is full of activity ideas, resources and current contests. The email will go to your teacher/sponsor. If team members would also like to receive the newsletter, let your Regional Representative know. At the end of the school year, administer the assessment again and recruit new team leaders and plan for the next year.